Primetech is born and raised in Groningen.He had opened shows for the likes of Masta Ace and for a short period he was the host of Homebase. Now he have a team around (B.R.E. Black Rose Entertainment) and he dedicated as is his beloved team to create good music. R.I.P the EP is the first project of many more to come. Primetech: "To me hiphop is a lifestyle and I take this craft very seriously. 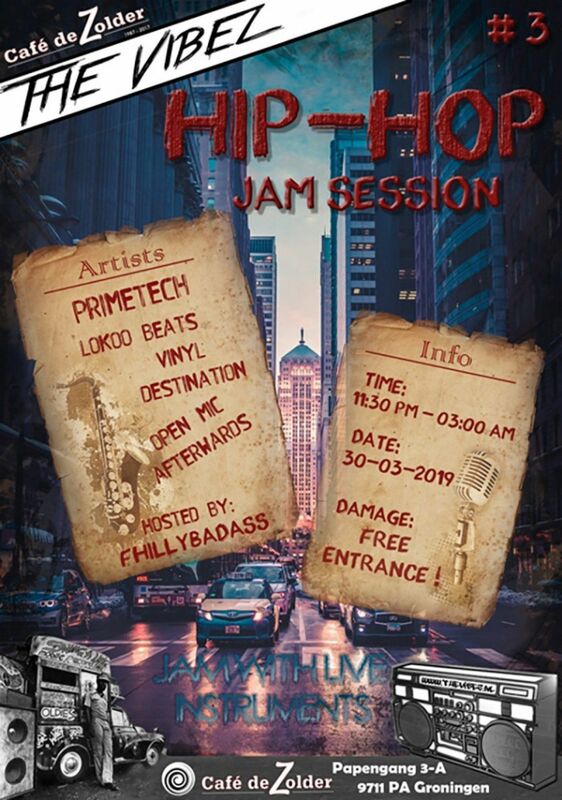 So as an MC and a fan, I'm doing this for the culture"
Lokoo Beatz, Vinyl Destination (Hiphop 050) vanuit de Hiphop cultuur on da decks zullen de avond draaien met New/Old Skool Vibez. De avonden zijn een initiatief vanuit de hiphop platform van Groningen en omstreeks. Hiphop out of the box! 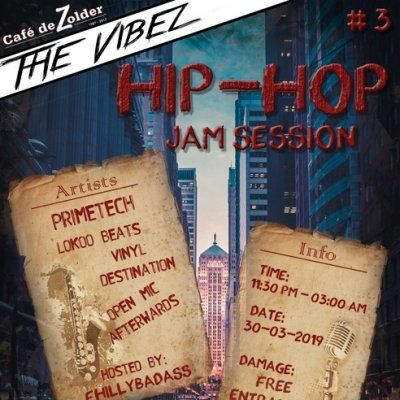 Café De Zolder, Hiphop 050, TheVibez.nl.